Hotel Zeds are ridiculously fun, unpretentious hotels in Victoria and Kelowna BC that look damn good on your Instagram. We’ve got comics books in every room, retro-chic amenities like vinyl listening stations, typewriter stations, board games and rotary dial phones, plus a bunch of other great stuff. You'll never be bored here. 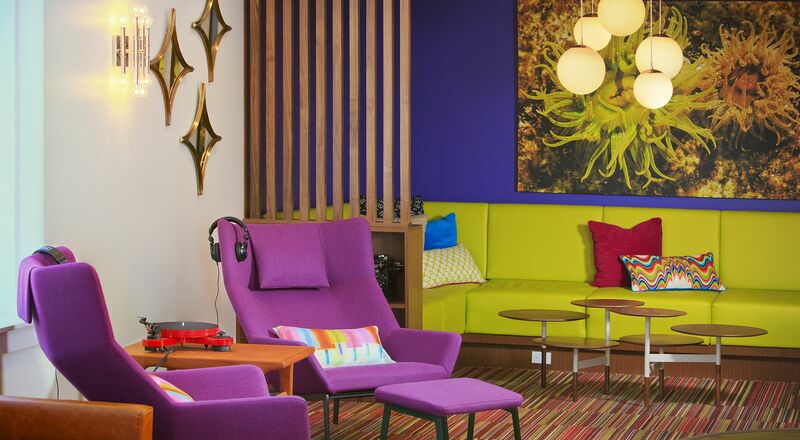 Our Victoria Hotel features many unique and fun rooms and many great amenities like our Zedinator waterslide, Ping Pong lounge, free to rent bikes, vinyl listening station, board games and much more. Hotel Zed Victoria has free wifi, free parking, free coffee and is right next door to The Ruby Restaurant. 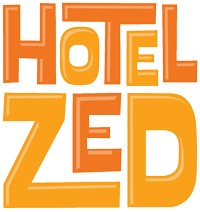 The Kelowna Hotel Zed is located smack dab in the middle of downtown Kelowna BC and has many fun things to offer. You’ll never be bored out our Kelowna Hotel! We’ve got free wifi, free parking, free coffee and free bikes to rent. Our Kelowna Hotel Zed is also pet friendly, bike friendly and motorcycle friendly. You can also check out our Ping Pong Lounge and Mini Disco! We are so excited to announce our newest Tofino Hotel Zed location opening in the Spring of 2020. Stay tuned for more details!